Fil-Am actor Nico Santos reveals behind-the-scenes details about Crazy Rich Asians, which will open in Philippine cinemas on August 22. 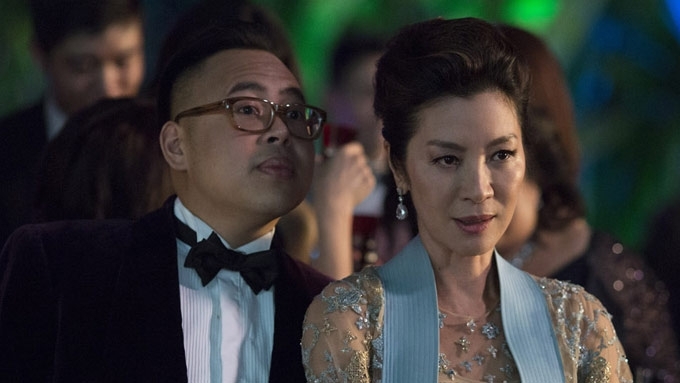 Aside from Kris Aquino, there is another Pinoy to watch for in Crazy Rich Asians: the Fil-Am comedian Nico Santos. Can you imagine the glamorous stars of Crazy Rich Asians bonding over karaoke? This is what the Manila-born Nico experienced while shooting the Hollywood film that shows the extravagant lifestyles of elite Asian families. 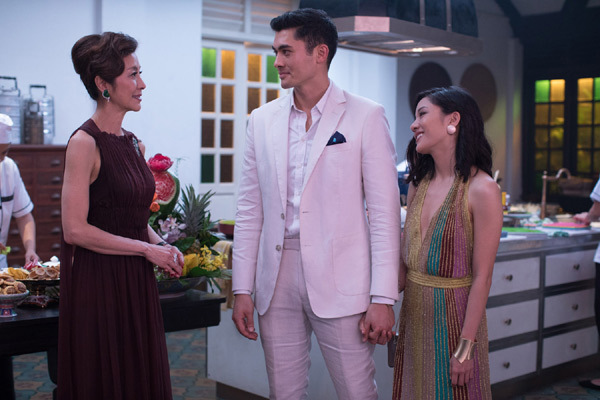 In the movie, Nick Young (Henry Golding) and Rachel Chu (Constance Wu) attend a wedding in Singapore. Soon, Rachel finds out that her boyfriend Nick actually hails from an ultra-rich and powerful family. Nico brings life to fashion designer Oliver T’Sien, a cousin of the male lead character. In an exclusive interview, Nico told PEP.ph (Philippine Entertainment Portal) that they developed strong bonds while shooting the film that is based on Kevin Kwan's best-selling novel of the same name. "Every downtime that we had, we spent with each other. It was like a family. "We ate dimsum every day, we did karaoke every night. We went shopping. "It was like we were on a paid vacation with our family." "I don't speak Cantonese and as you know, Cantonese is one of the most difficult languages to learn. "They gave me an audio recording...I memorized it and memorized it and memorized it. I thought I had it and we filmed that scene and I said the line. "So we did the English version." Since he plays a confidante of the main characters, Nico had the chance to shoot a lot of scenes with the lead stars of the film that will open in Philippine cinemas on August 22. "They're all a dream. They're all amazing. "I'm a huge fan of Michelle Yeoh. She's a legend and the fact that I had to do a scene with her, I really had to pinch myself. "We bonded and we were one big family and everybody was a joy to work with." Did he get the chance to work with Kris Aquino in Crazy Rich Asians? Nico pointed out, "We were in the wedding scene together and it was a very big scene and very hard to film logistically. "I didn't get chance to talk to her that much. I met her very briefly." How did he prepare for his role as Oliver? "I pulled from my retail experience because I used to work in high-end retail in San Francisco. "I had a lot of crazy rich Asian clients and when I booked this role, it finally clicked on me that these were the people buying US $20,000 (PHP 1.067 million) hand bags!" Nico was actually born and raised in Manila. When he was 16, he joined his family in moving to the United States to live in Oregon. He became known for playing an illegal Filipino immigrant named Mateo Liwanag in the American comedy series Superstore. What struggles did he have to face before getting his big break in Hollywood? "I'm a Filipino and I'm gay and being a person of color and being gay and being a combination of both, it's not an easy thing to be. "I thought I would have to tone done my queerness or that I would be just destined to play small, one-dimensional characters with Asian stereotypes. "It's been an interesting journey. "What helped is that characters like Mateo in Superstore and Oliver in Crazy Rich Asians is that we can show queer Asians as real, three-dimensional complex characters."